Oil is the life blood of any engine. Search the store shelves for oil “additives” and you’ll get a bunch of them. Oil thickeners, stabilizers, enzyme treatments, even additives with Teflon (heard of those?). There is one treatment that have been on the market since 1983, that far surpasses all of these pretenders – X-TRA LUBE CONCENTRATE. Its oil-soluble lubricant with crystalline overbased calcium sulfonate is advanced lubricating technology that has proven its worth for years in the toughest lubricating scenarios that businesses, industry and consumers face today. Calcium sulfonate’s extreme lubricating protection and other benefits have long been prized by lubricant users who needed the best protection and performance money can buy for their equipment. But the caveat with old calcium sulfonates was particle size and their stability in oil. For years, old formulating technologies typically could only produce calcium lubricating particles over 200 nm in size. Great for lubrication, not so great for clarity or sustained solubility when mixed into lubricating oil. X-TRA LUBE CONCENTRATE utilizes a patented additive design that produces calcium particles manufactured down to just 50-80 nm in size. This means it blends seamless into any kind of lubricating oil with exceptional clarity. This also means the particles in X-TRA LUBE CONCENTRATE will not plug or have issues with the smaller, lower tolerance oil filters that are increasingly common in today’s more advanced engines. 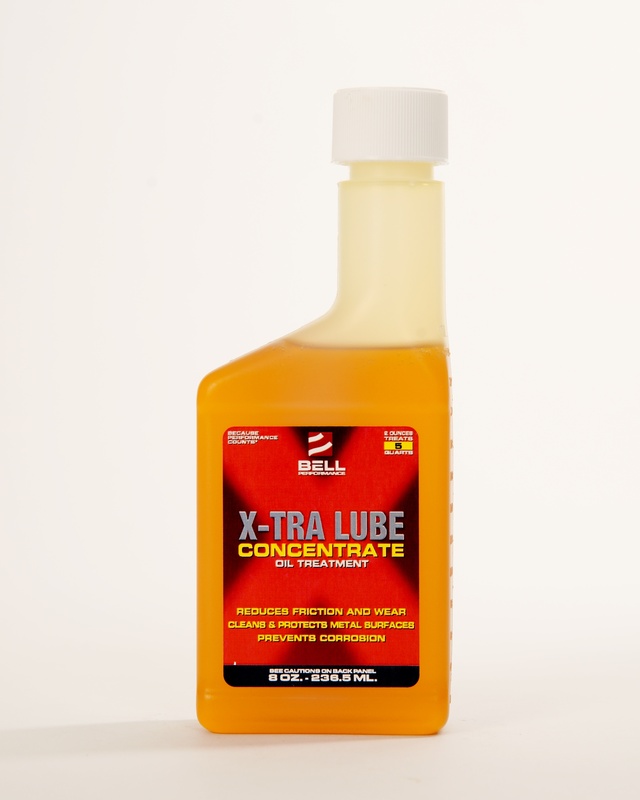 Why Use X-tra Lube Concentrate? Today’s high performance oil filters have to filter out ever-smaller oil particles to protect expensive common rail diesel engines. With ultra-high efficiency performance ratings designed to catch most particles as small as 5-6 microns, many older particle-based oil treatments simply can’t play well with these filters. X-TRA LUBE CONCENTRATE’s 50 nm calcite are 100 times smaller than particles caught by these high-efficiency oil filters. So they work seamless with zero filter plugging concerns. 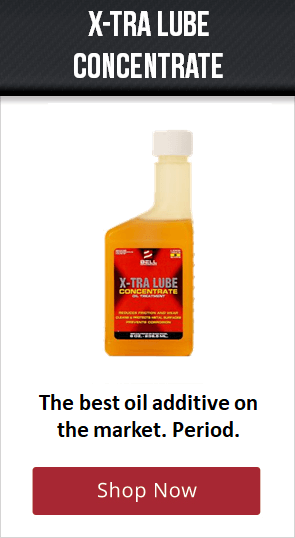 X-TRA LUBE CONCENTRATE blends seamlessly with all popular types of lubricating oil, both conventional and synthetic, and will not settle out over time or separate from the lubricating oil. VEHICLES AND RECREATIONAL EQUIPMENT – cars, trucks, van, motorcycles, boats, RVs and ATVs. HEAVY-DUTY AND INDUSTRIAL EQUIPMENT – applications that require superior lubrication and protection for the bottom line of the business. FLEET VEHICLES – large and small transportation fleets, school buses, fire & rescue vehicles, police & government fleet vehicles. RAILROAD AND LARGE MARINE – since it won’t settle out, X-TRA LUBE is excellent for protecting large and valuable equipment with large oil capacities. No matter what kind of vehicle or engine you have, X-TRA LUBE CONCENTRATE will deliver the performance and protection you need.